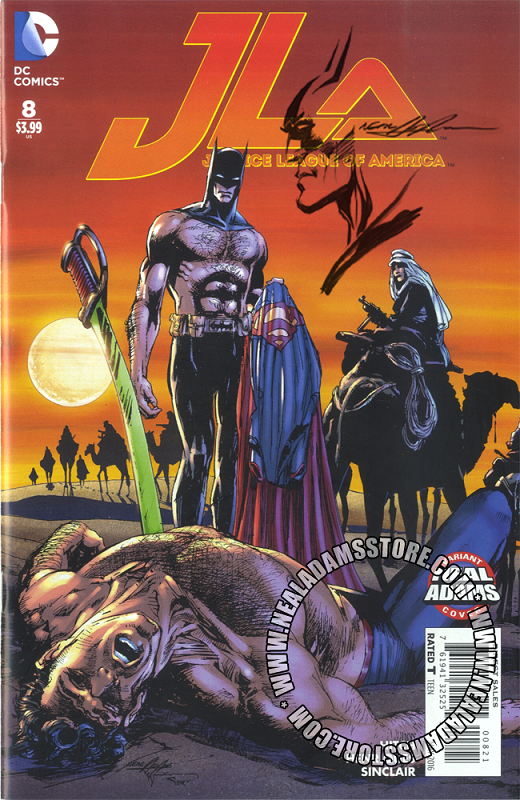 Now available with Remarque by Neal Adams â€“ JLA #8 variant cover by Neal Adams and Bill Sienkiewicz, colored by Alex Sinclair. Based by the classic conclusion to Neal Adams and Denny Oâ€™Neilâ€™s epic first confrontation with one of Batmanâ€™s greatest villains â€“ Raâ€™s Al Ghul. However, in this variant, Batman emerges victorious over Superman thanks to a Kryptonite sword. This is perhaps the ultimate variant cover of this series and just in time for the Superman V Batman movie. A reinterpretation of one of Nealâ€™s greatest covers with a personal drawing and signatureâ€¦a fantastic collectorâ€™s item! This variant is also available just signed. Check our other items to have this book sent to CGC or CBCS for grading and slabbing.